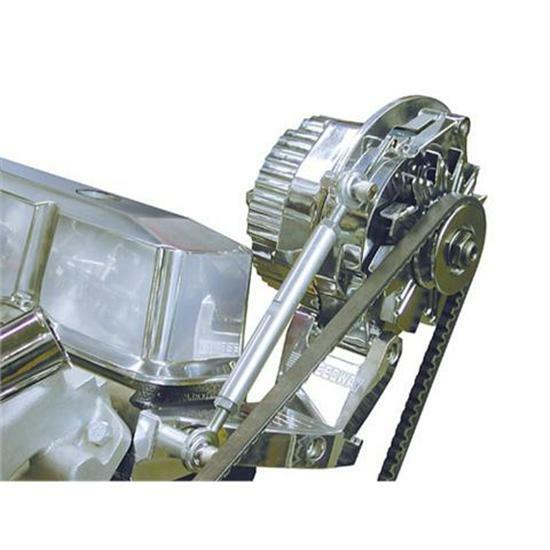 We all know what a pain it is to come up with a pulley, bracket, and belt combination to work on your small block Chevy engine. We have pre-engineered our package to include the nuts, bolts, and polished billet aluminum brackets to make this a simple installation. Outboard mount for fat fendered cars. Note: S/B Chevy, short style water pump only. Not to be used in conjunction with power steering due to belt interference with the power steering pump.